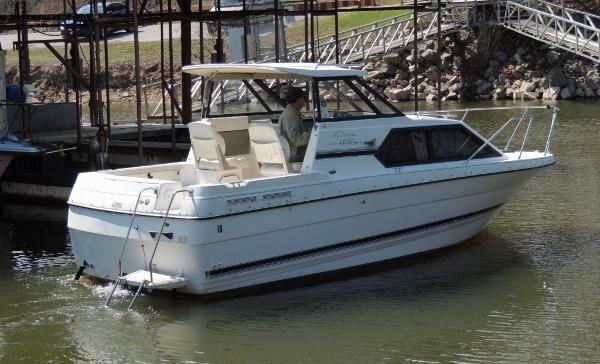 This 2000 Bayliner 2452 Cierra is available now and comes with Air Conditioning, a 5.0 Mercruiser V-8 and a trailer. 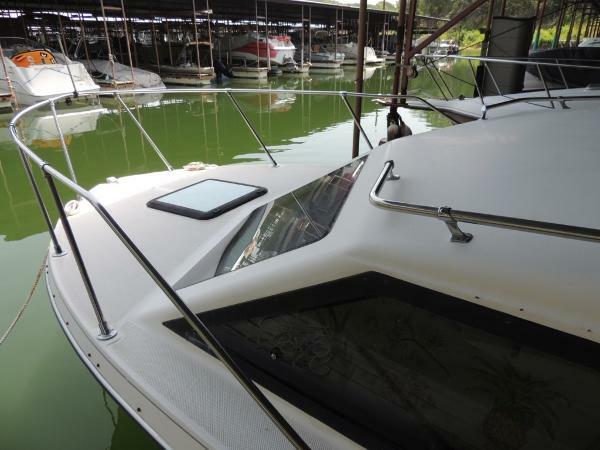 Come see this well maintaned 2452 Ciera, with new engine!!!! 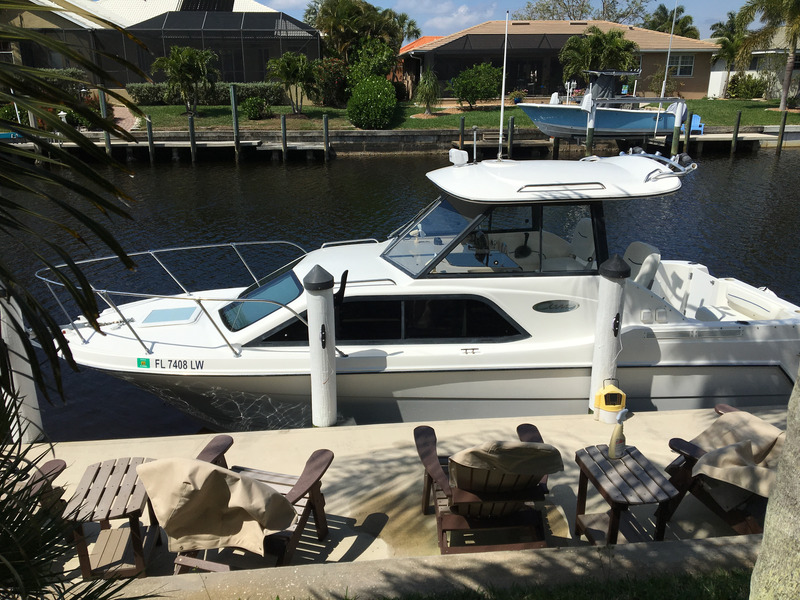 Do you want to fish, island hop, or cruise? 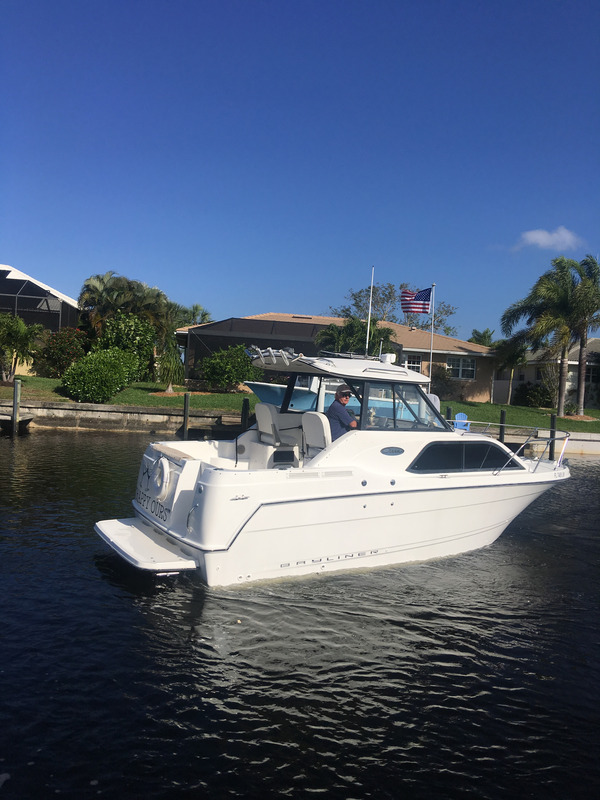 Do it all with this versatile boat…..Spend a comfortable night or two with A/C, heat, head, shore power, galley, fridge, stove, microwave, table, large V birth with memory foam ….perfect for two…..does sleep 4. Don’t make the mistake of thinking a cuddy cabin will do. 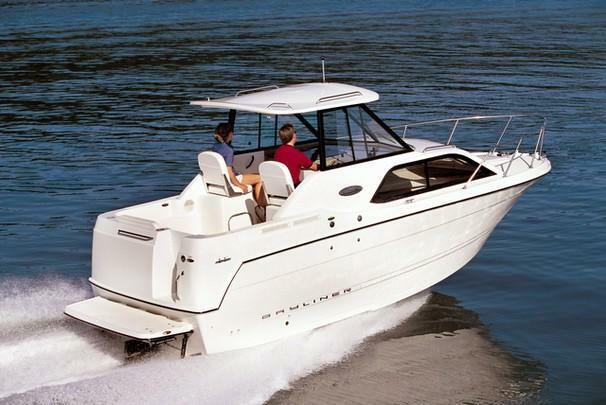 Look out from 7’ windows, not just a port hole….and the hard top will always keep you dry….from waves or rain. 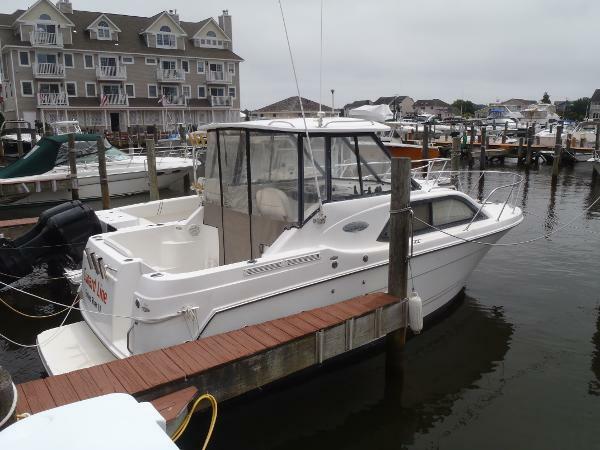 If you want to fish, there are 4 rod holders on the transom, really nice rod holders on top, and fish box. If you’re island hopping, all you need is a cooler.Condition is very good; you won’t find a nicer one……trailer is poor condition (never use it). Boat was fresh water 10 years on lake Michigan. Lots of storage… $16,995 OBO. A lot of boat for this price range. Larryel@aol.com or 330-466-8910. 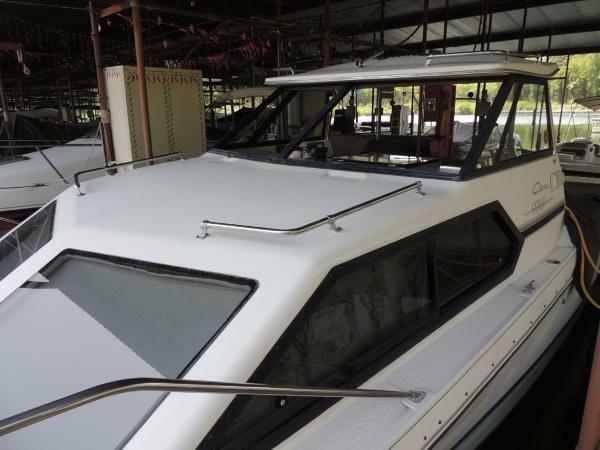 2002 Bayliner 2452 Ciera Classic Express Cruiser; Hardtop, 24’, 8 1/2’ beam. Mercury 5.0L Alpha 1, 220 HP with Magic Trail Signature series trailer (TALS2460).5,500 lb dry weight. 350 engine hrs Draft 1’10”. 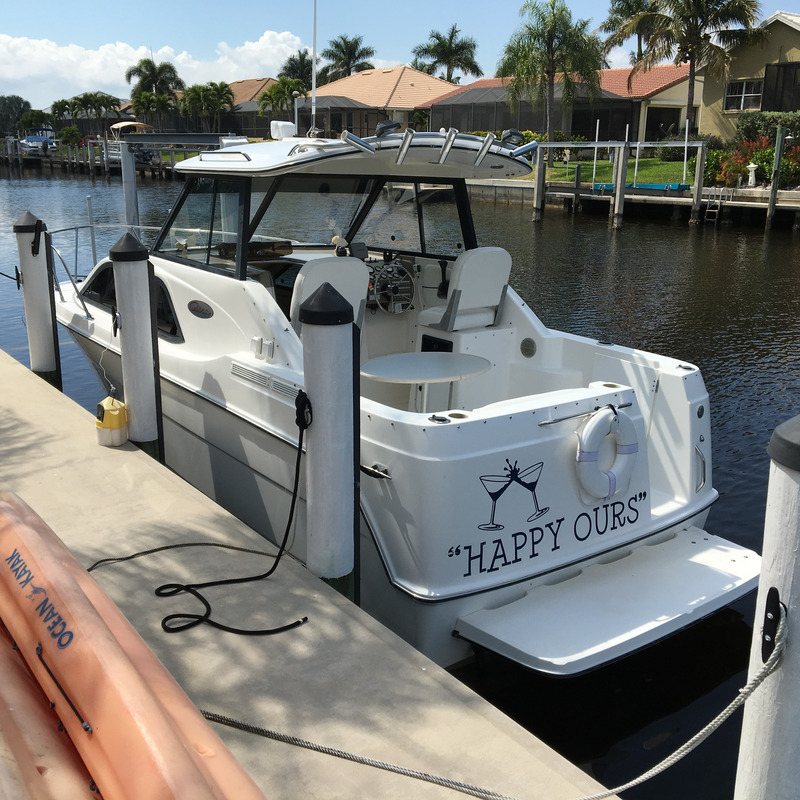 Top mounted rod holders, powerful search light, VHF antenna. Garmin 440S GPS, VHS radio, compass. 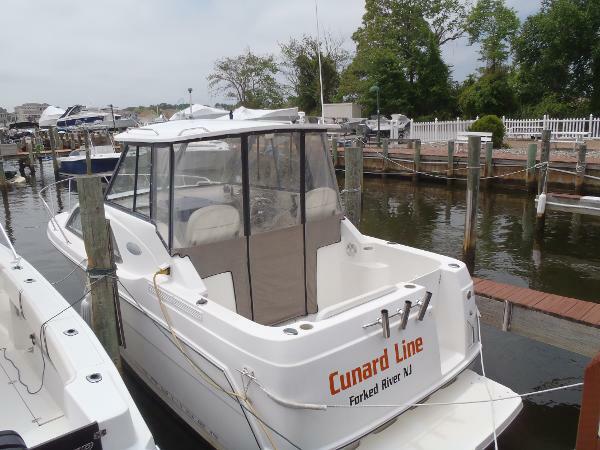 , trim tabs, hot water, holding tank, dual batteries & charger. Upholstery in very good condition with new covers. . Cruising speed is 22 MPH. 7 foot windows. Transom shower. PRIVATE SELLER. $16,995 OBO.